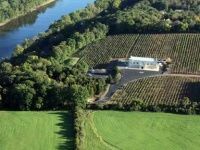 See our comprehensive list of wineries in PA. Sip the finest vino at these Pennsylvania wineries. Best Wine Tasting in PA! A charming wine and gift shop housed in a rustic 18th century barn, New Hope Winery sells a huge selection of fine Pennsylvania wines, accessories, and gourmet foods. The diverse selection of wines can fit every palate. 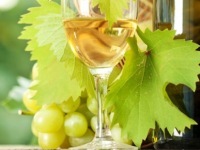 Whether you're seeking a fruity white or a sophisticated red, New Hope Winery has it in stock. 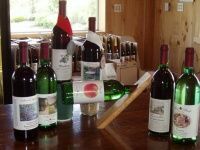 A trip to the Pennsylvania winery is not complete without a sampling of its fine wines. Get acquainted with multiple Pennsylvania vintages, as the knowledgeable staff offers helpful advice on good wine and food pairings. Wine tasting is available 7 days a week! One of the Best Wineries in PA! Tamanend Winery specializes in classically styled premium wines, but also possesses a variety of premium, sweeter-style wines. One of more than 140 wineries in PA, Tamanend offers visitors the best quality visit to a local winery and the most interesting winery experience in the state. The winery offers three unique tasting rooms. Tasting room hours are 12-5 P.M., from Thursday to Sunday. Tamanend Winery has received several top honors, including being named the "best winery in Pennsylvania" by The Official Best Of show. Nestled on the banks of the Delaware River in historic Bucks County, PA, Sand Castle Winery is a leading purveyor of world-class wines. The founders of the Pennsylvania winery were born and raised in Czechoslovakia, a region known for its impeccable wine-making even before the Romans ruled the world. All wines are produced from 100% vinifera grapes. Open daily, feel free to visit Sand Castle's tasting room, where you can sample and purchase the world-class wines. Enjoy a guided tour of the winery, vineyard, wine cellar, and castle. One of the Great Pennsylvania Wineries! Established in late 1984, Peace Valley Winery has produced a series of delicious, award-winning wines. Overlooking Lake Galena and Peace Valley Park, you'll be treated to a uniquely scenic view. Continuously experimenting with hybrid approaches, the winery in PA offers more than 20 types of grapes, some imported from such places as Germany and France. 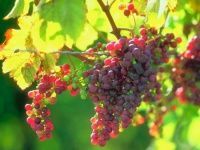 In addition to offering spectacular wines, Peace Valley contains a farm where you can pick your own grapes, apples, strawberries, blackberries, melons, and sweet corn. The winery is open for tours from Wednesday through Friday from 12-6 P.M., and on Saturdays and Saturdays from 10 A.M. - 6 P.M. Consisting of about 65 acres of fertile soils, Wycombe Vineyards makes the finest wines from the freshest, hand-picked grapes. Specializing in white wines, Wycombe offers delicious selections (including the best Chardonnay) to add to your wine collection. The atmosphere is very friendly and the winery's decor is incredible. The tasting room and deck offer comfy outdoor seating, overlooking the beautiful vineyard. 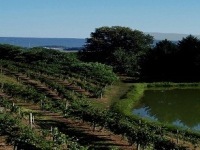 Wycombe has been regarded as one of the best vineyards in Bucks County by multiple guests. One of the Top Wineries in Pennsylvania! Chaddsford Winery is among a handful of wineries in the U.S. that earned a reputation for producing premium, world-class wines. Each vintage has received much critical acclaim from wine critics across the country. 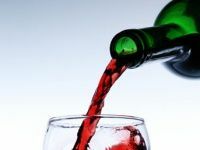 The selection of wines ranges from dry, European-style table wines to light, fruity wines. 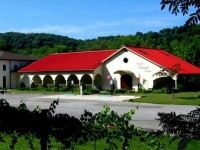 Located on a small country estate, PA winery is open to visitors all year round! Chaddsford Winery serves as a perfect PA day trip, as it's close to other renowned attractions in PA like the Brandywine River Museum and Longwood Gardens. Great Cider House and Winery in PA! 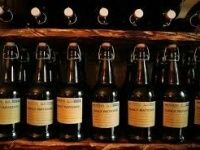 Specializing in hard apple cider, mead, and wine coolers; Arsenal Cider House & Wine Cellar strives to bring high quality, artisan crafted adult beverages in a historic and nostalgic atmosphere. Located in Pittsburgh's Lawrenceville neighborhood, the Pennsylvania winery brings the past to the present with its Civil War theme. Try the incredibly tasty and smooth ciders--available in various flavors like pear, Concord grape, apple cinnamon, sour cherry, and honey vanilla. Please your palate with the wine sorbet. Whether you're a wine connoisseur or are looking to taste the finest cider in PA, make the Arsenal your top destination! You Will Love this Pennsylvania Winery! Volant Mill Winery is more than proud to offer you a broad variety of delicious wines, freshly crafted from the vineyards and orchards of Western PA. Dedicated to satisfying every palate, the winery offers everything from dry and peppery Marechal Foch to lusciously sweet Blackberry. Try Volant's diverse selection of fruit, port, reds, and whites. Within this much-visited winery in Pennsylvania, you can buy fantastic wines for inexpensive prices. Topnotch wine + casual, friendly service = a must-see attraction in PA! One of the Best Wineries in Western PA! Located merely 10 miles north of Pittsburgh, Narcisi Winery offers complimentary wine tasting and a full-service restaurant. Choose from 30 different varieties of spectacular wines, from dry reds to sweet fruit wines. Many of the wines are made from grapes grown in Lake Erie. In the tasting bar, you can sample five different wines at no cost! The winery itself is nestled among the towering trees and beautiful rolling hills of Western PA. Relax with a glass of vino on the deck or patio, while you view many species of wildlife. Narcisi offers live entertainment weekends during the summer and occasionally during the winter months. One of the Finest PA Wineries in Bucks County! Consisting of a manor house and several outbuildings, Rose Bank Winery offers several enchanting wines for you to choose from. The winery in PA carries many hand-crafted wines, as well as Di Bruno Bros. cheeses and more than 30 varieties of gourmet dips and sauces. The venue itself is a renovated barn, with a huge outdoor deck and beautifully landscaped patio (perfect for small parties and gatherings). 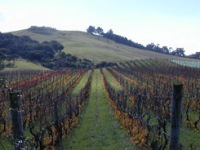 The winery hosts weddings and large gatherings in the tasting room. On September 23rd through December 9th, you can enjoy Rose Bank's weekly concert series--giving you the chance to taste wine while listening to great live performances. Good Food, Great Wine, and so Much More! A perfect spot for date night, Cooperage Wine & Whiskey Bar offers a large selection of fine wines and whiskeys, so there's something for everyone! Whether you're looking to stop by after work to grab a delicious beverage, or to plan a night out with your spouse, Cooperage Wine & Whiskey Bar is one of the top wine bars in Philadelphia! Choose between a wide variety of reds, whites, rose and sparkling wines. If anyone in the party isn't interested in wine, then they have plenty more to choose from! 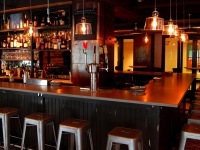 Cocktails, whiskey and beer are also available at the Cooperage Wine & Whiskey Bar. Events, Classes and Wine Parties! When it comes to wine, Pinot Boutique has it all! Not only can you attend one of their great wine-tasting events, but you can order wine from their website, buy some wine accessories from their store, and even book a wine party through them! In hiring Pinot Boutique to provide the wine for your next party or event, you are sure to please and impress your guests! 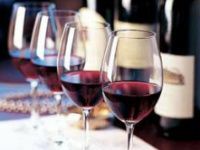 Attend one of their "First Sip" events where you can taste wine, and learn great wine tips, like what food to pair with what wine, which wine is right for you, and more. Pinot Boutique is a one-stop shop for your Philadelphia wine needs! Have a Private Wine Tasting Party! Whether you're looking to take some wine classes to become an expert, participate in some wine tasting, or just learn some great facts about wine, Philly Wine is the place to do it! 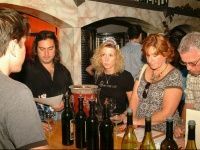 With numerous wine-tasting events at various vineyards throughout Pennsylvania, you can get a chance to participate in Philly Wine's passion! 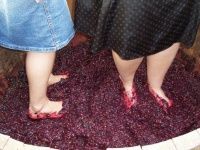 You can even book a private wine tasting event at your home or business! A perfect bachelorette or birthday party idea, a wine expert from Philly Wine will provide you and your guests with the country's best wine! Get Freshly-Made Wine in the City! Makers of world-class, recognizable wine, Blue Mountain Vineyards have been producing international, award-winning wines for 20 years. With a winery extension located in Reading Terminal Market, you can get the high-quality wine in the middle of the city! Hosting numerous events throughout the state of Pennsylvania, you can enjoy a great wine tasting event near you! Not only can you go to an event, but you can host your own! You and your party guests are sure to have an unforgettable experience tasting the award-winning wines that are offered by Blue Mountain Vineyards, so start planning your wine party today! Philadelphia's destination for wine, beer and cheese lovers, Tria Cafe is the perfect social hang out with wine and snacks. 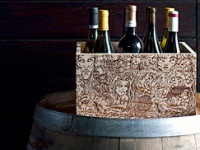 The menu consists of 26 wines with personality, a dozen cheeses, and 10 great beers. With a bunch of different locations all over Philadelphia, you are sure to fine a Tria location right near you! Dedicated to wine, the wine experts at Tria will not only serve you, but will give you some great wine knowledge and advice. For an unforgettable wine experience, stop by at one of Tria's locations for some great fun and delicious food and drinks!